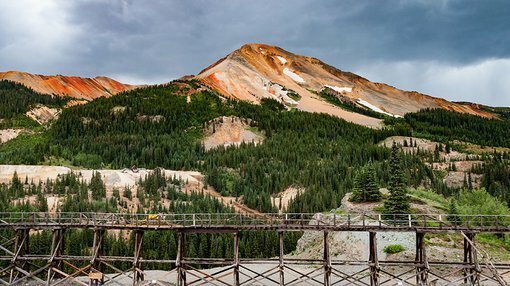 Colorado gold mining and exploration company Dateline Resources Limited (ASX:DTR) has today announced it has significantly strengthened its Colorado metals portfolio with the acquisition of the Raymond and Carter gold mines. Both mines adjoin DTR’s Gold Links property, and are highly prospective historical gold mines covering approximately 1,300 acres. This brings DTR’s total Colorado holdings to more than 2,000 acres. The agreement stipulated a US$2 million cash purchase price and settlement in approximately 90 days. DTR has paid a refundable 10% deposit to the registered owner and has a 30-day period to exercise its right to walk away from the transaction for any reason. 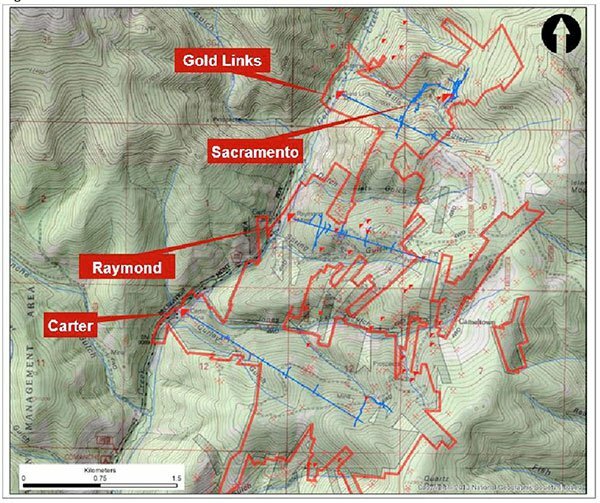 At settlement, DTR will hold approximately 600 acres of leasehold land which has produced over 300,000 ounces of gold from narrow vein, high-grade ore-bodies — and has not been mined or explored in the modern era. Further, its combined mineralisation strike length will then exceed 3 kilometres. It’s worth noting that DTR is an early stage play and investors should seek professional financial advice if considering this company for their portfolio. The Carter mine was in production until 1982 when the mill burnt down. Due to the low gold price, the decision was made to not re-build, however an Atlas Minerals non JORC compliant Estimated Mineral Resource report claimed that the Raymond and Carter properties hosted 1.5 million tonnes at 15.5 grams per tonne for a total of 750,000 ounces of gold. However, this report cannot be verified by the company, and it has no JORC compliant evidence that this estimate is correct. All exploration undertaken by DTR will aim to provide JORC-compliant results. The below image illustrates DTR’s combined freehold landholding in the district that hosts the Gold Links, Raymond and Carter mines (red lines) and the map of the old workings (blue lines). DTR is currently undertaking a program to digitise all of the old maps and workings that including assay results taken from surface samples. Once done, the data will be used in conjunction with a 3D seismic survey of the area. Work completed last year at the Gold Links property (2150 vein) indicated that the high- grade gold shoots are associated with heavy sulphide (galena and pyrite) with the remainder of the vein being quartz and carbonate. The company stated in its announcement that “this mineral density contrast should make any mineralised shoots on our land clearly evident in a 3D seismic survey”. DTR Chief Executive Officer Stephen Baghdadi said: “As exploration and project development work continues across our Gold Links Mine and the ongoing commissioning of our Lucky Strike Mill progresses, we have been actively securing surrounding properties to add scale and optionality to our growing portfolio in this district of Colorado. “The acquisition of the Raymond and Carter mines is a clear reflection of Dateline’s confidence in this highly prospective district, and we are confident that modern exploration activities will add considerable value to our asset base.